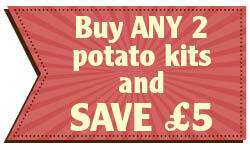 Potato Kits delivered direct by D.T.Brown seeds. 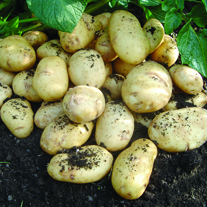 Potatoes are one of the most rewarding vegetables to grow. 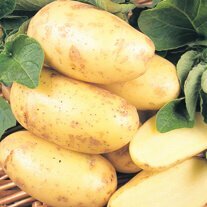 There’s the nurturing process of chitting, planting and earthing-up, the anticipation of a good harvest as you dig through the soil and, of course, the unbeatable taste of fresh, home-grown, potatoes. 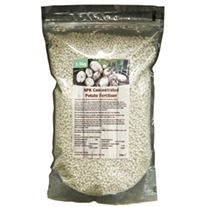 Our potato kits are perfect for gardeners with small gardens, patios or balconies. They take up very little space and will still yield a decent crop of spuds! 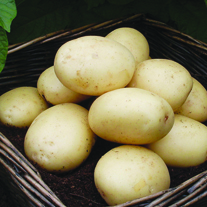 Many gardeners are choosing our potato kits to save space on their plot or because they simply don’t have the room for a potato bed. 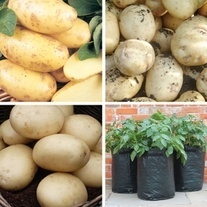 They’re perfect for beginners too – everything you need is included (although we recommend mixing in some of our potato fertiliser when planting) and each kit contains 3 heavy duty, reusable growing sacks with a 25 litre capacity and 15 top quality seed potatoes.